Rishikesh is one of the towns of India that has many feathers in its cap. Located blissfully at the foot of the Himalayas in the state of Uttarakhand, Rishikesh is one of the most visited places in India. It is a weekend getaway destination for people in Delhi, Dehradun, and Chandigarh. The hippies come here to experience the Nirvana in Rishikesh, while Yoga enthusiasts travel to Rishikesh to master one of India’s ancient gifts to the world. The pious devotees make their journey to seek the blessings of the God. The Godessess and the backpackers throng to enjoy the Himalayas, and the view of Ganges from the many cafes, while the adventure seekers arrive to jump, raft, hike, drive, and camp. And Rishikesh beckons all these types of travelers with open arms and make them irrevocably fall in love with the place. No matter whatever category you belong to, we present you the travel guide to Rishikesh, comprising of the places to visit and the offbeat things to do in Rishikesh. 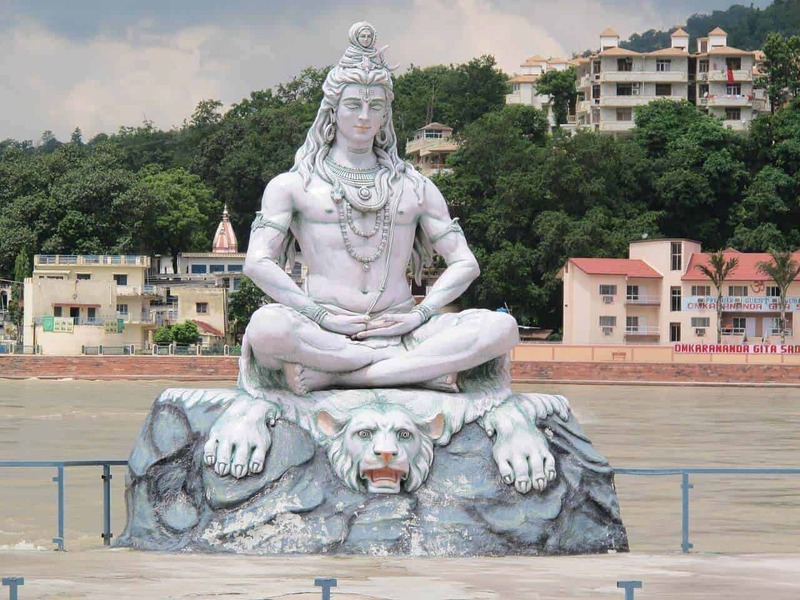 Let’s first find out more about all the tourist places in Rishikesh. A trip to Rishikesh is complete without visiting its ancient temples. The temples that you need to visit are Raghunath temple, Lakshman temple, Trayambakeshwar Temple, Mansa Devi temple, Maya Devi temple, and Chandi Devi temple. A few minutes from Rishikesh is Neelkanth temple, dedicated to Lord Shiva, which is very popular among the locals. Don’t miss the Aartis while in Rishikesh. Rishikesh is one of the places in India that is famous for its iconic Aartis or prayers that are offered to the Ganges. There are 2 places at which the Aarti happens in Rishikesh. For a bigger ceremony comprising of a large crowd, head to the Triveni Ghat where the Aarti commences just at the time of sunset. Walk your way to reach there a bit early so that you can get a good spot to photograph and witness the ceremony well. It is expected that you wear a decent outfit with your shoulders and knees closed. 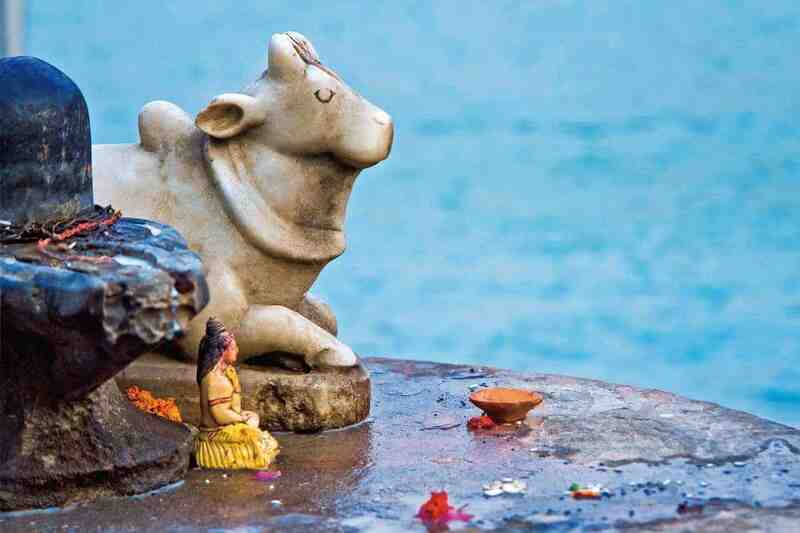 The other place which is close to the center where the Aarti happens is Har ki Pauri Ghat, where a similar ceremony but on a small scale is held every day. As mentioned above, Rishikesh is a paradise for adventure seekers. Whether you like the adventure in moderate levels or extreme adventure gives you the high, these are the various things to do when it comes to adventure. Speaking of soft adventure, if just being close to nature and gazing stars at nights is on your mind, you should opt for camping beside the Ganges or amidst the dense reserve forest areas in Rishikesh. You can go Kayaking during the day or just swim and camp at night. Spending the nights by the bonfire and star gazing is one of the best things to do while you are surrounded by mountains! Whitewater rafting in Rishikesh is one of the most popular adventures in India. In fact, Rishikesh is the capital for rafting and Bungee jumping too. Opt for the different rafting packages, that can be as simple as a 45-minute ride to complex rafting adventure that lasts for 5 to 10 days, where you’ll be camping in the forests at night! 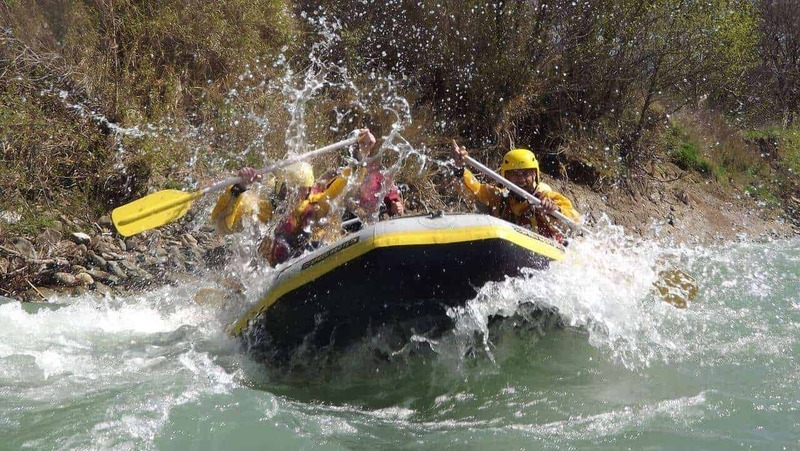 You don’t need to have prior experience for rafting in Rishikesh. Keep your eyes and ears open and follow your guides and you’ll be just fine! Check below to see where you can book rafting online. Pack correctly if rafting is in your plans for your Rishikesh trip. Get more set of clothes, waterproof pants if you don’t like getting splashed, goggles, and some energy bars and water bottles to keep you energized and hydrated. If you are opting for advanced rafting packages involving many days, check with the operators for instructions on packing and preparing for the adventure. Flying Fox is the pioneer in introducing Bungee jumping in India. With their journey in Rishikesh, the town turned into the center in India for Bungee jumping. It is the highest in India at a height of over 80 meters, and the few minutes of the gush of adrenaline rush in your body is what makes it so memorable and thrilling! 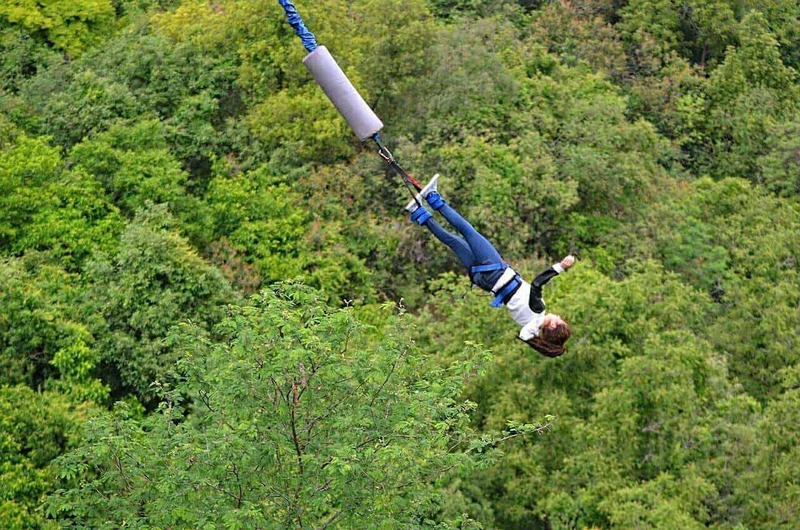 You can also try hopping on the giant swing that would take you on a mind-blowing swing over the mountains. There are many shops in Rishikesh from where you can rent mountain bikes to try biking. You can even get your own bike if you can and what better than a place in the mountains to go biking! Whether you drive for 2km or 20, you can’t definitely miss the fun! If getting a bird view of the Himalayas and the Ganges flowing between the Himalayas is what you have been dreaming of, consider it to become true while in Rishikesh. As the adrenaline rush engulfs you when you zip line, the gorgeous views of the valley will add to your joy! Rishikesh is the starting point or the base camp for many treks in Uttarakhand. Depending on the season you are traveling, you can choose from the many hikes that the region is famous for. Some of the popular treks that you can try include Chandrashila, Roopkund Trek, the Valley of Flowers, Kedarkantha, Kuari Pass, Dayara Bugyal Trek, Rupin Pass, and Har Ki Dun Treks. Check below to find out where you can book these treks online. 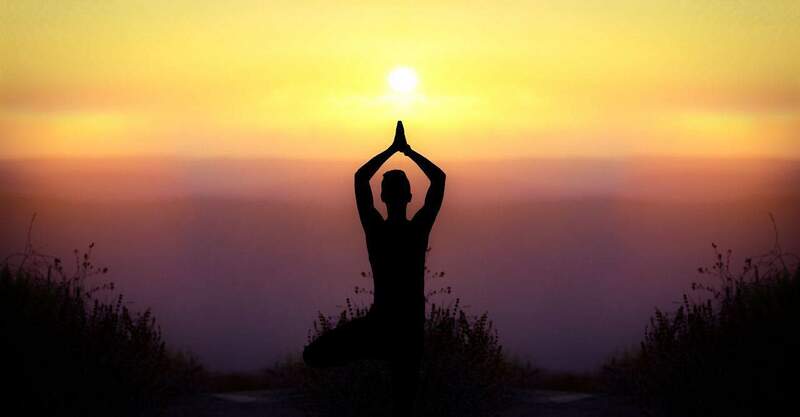 To practice yoga is one of the best things to do in Rishikesh. Whether you are totally new to Yoga or you are looking for Yoga teacher training in Rishikesh, you must explore Yoga in this town. Many places offer free Yoga classes in the mornings and evenings. There are regular workshops on Yoga, and once in a while, there is also a Yoga festival that happens for almost a week, where Yoga gurus and enthusiasts from all over the world gather to learn and practice India’s ancient art. Yogpeeth is one of the oldest institutes in Rishikesh offering Yoga courses ranging from 4 to 8 weeks. They provide certified training for Yoga teaching as well. Check their website to know more details. You can even opt for a Yoga retreat in Rishikesh for a completely rejuvenating holiday. Check our post on Yoga retreats to India to find out where and how to go for the best retreats in Rishikesh and other parts of the country. Rishikesh has a lot of Ashrams given its spiritual supremacy. Parmarth Niketan located on the banks of the Ganges is one of the best places to visit in Rishikesh. The institute conducts meditation sessions, workshops, talks and lectures on philosophy and spirituality. The place has a tranquil vibe that is perfecto soothe your mind and body. It is where the Yoga festival happens. Maharishi Mahesh Yogi’s Ashram is more popularly known as Beatles Ashram after the famous Beatles music band members visited this place in 1968 on their tour to India. They liked the place so much that they made this their haven for meditation. Located just a few minutes drive away from the center, today the Ashram receives many international and local tourists. Gita Bhawan located in Swargashram in Rishikesh is also one of the most visited places in Rishikesh. This huge temple on the banks of the river is also a good place for meditation and learning about Hinduism. Some of the other popular centers in Rishikesh worth visiting are Anand Ashram and Osho Ganga Dham Ashram. If you intend to learn about Reiki, a healing technique and more on astrology, Rishikesh is the place to learn and know more about these. Check with these Ashrams to discover further. Cafe culture is relatively new to Rishikesh, but it has caught up well and really quickly in the town. From modern, sophisticated places to rugged, minimalist, themed cafes serving a variety of cuisines, Rishikesh has a lot of cool places to hang out, work, read, eat and relax. Most of these are in the heart of the town and some of these serve delicious Italian, Continental, Mexican, and Tibetan food. Some of the cafes worth checking out are the Little Buddha Cafe, Bistro Nirvana, Beatles Cafe, and Zorba organic cafe. Buses: How to get to Rishikesh obviously depends on where you are arriving from. The distance from Delhi to Rishikesh is over 235 km and takes 5 to 7 hours by road depending on the mode of transport. The best way to travel from Delhi to Rishikesh is by road. There are direct buses every day from Delhi, which will take 6 to 7 hours depending on the time of the day. Opting for public buses is the cheapest way to travel to Rishikesh from Delhi of course. If you are arriving from Dehradun to Rishikesh by road, opt for shared cabs, which is the cheapest and would take you in 45 minutes. There are buses as well, but shared cabs are the most popular mode of transport from Dehradun. Trains: There is no direct train to Rishikesh from Delhi. The nearest station is Haridwar, and there are many trains that run from Delhi to Haridwar every day, including Shatabadi Express, Jan Shatabdi, AC Special Express, Mussoorie Express, etc. Cabs/Bike: You can also rent a bike or a car to Rishikesh if you are traveling in a group and insist on a drive. It is the most expensive way and would cost you 4000 to 8000 INR depending on the vehicle, season and the number of people. 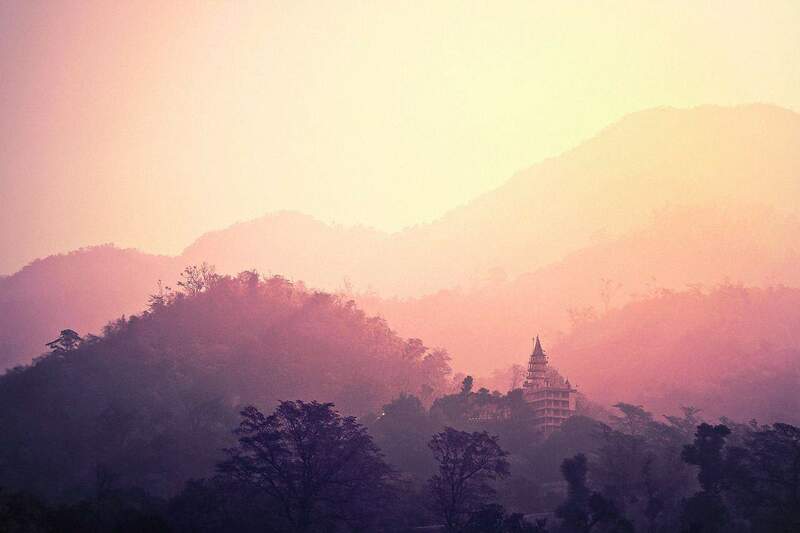 Although Rishikesh is located close to the hills, being in the lower region of the Himalayas makes it accessible for almost throughout the year. The average temperature in Rishikesh is around 28-degree Celsius. The best time to visit Rishikesh is right after the monsoon, that is during the winter, which lasts between October to February. This period is when the town is cooler, some of the treks and adventure are open for tourists. It can get cold during December, especially at night when there is a temperature drop. If you want to raft or do camping in Rishikesh, note that the end of winter or the summer are the best periods to visit, i.e between February to May. The water gets severely chilly and rafting is closed during the winter, leaving only these months up for those wanting to try this adventure. Categorizing the expenses as below, this is what you can expect when it comes to the cost of traveling in Rishikesh. When it comes to accommodation, Rishikesh caters excellently to young travelers, especially to people traveling on a shoestring and backpackers. You can live for free in a Gurudwara in Rishikesh (even if you are a non-Hindu/foreigner) on requesting the officials there, although it is subjected to availability and proof of your travel sometimes (If you are traveling alone). And thanks to its popularity, there are plenty of hostels that have come up in Rishikesh, where it is possible to get a dorm bed under 5$. The best places to stay in Rishikesh are around the Ram and Lakshman Jhula, in the lane that is full of shops, cafes, and market. Where to stay in Rishikesh is also dependent on what type of ambiance you prefer. If you want a quiet abode and space to unwind away from the center, you can cross the bridges to get to Tapovan on the other side, where there are many hotels, guesthouses and hostels as well. You can use shared tuk-tuks, bicycles, cabs or walk along to reach the downtown from Tapovan area. Some of the good hostels in Rishikesh that you can try are Shiv Shakti Hostel, Live Free Hostel, Bonfire Hostel, The Hosteller and Moustache Hostel. Also, if you are looking for guesthouses, check Sonu Guest House, Maa Ganga Guest House, and Vasisht guest house. First things first. Being a religious town, no meat is served in any restaurants in Rishikesh. Nor is alcohol. But if you really get a craving for either of these, you can go to the next town. The cuisine is mostly Indian, but the cafes serve continental, Italian and English food too. You can also find Tibetan and fast food as well in Rishikesh. There are many small eateries to try local food, some of which serve Uttarakhand’s typical Thali (meals consisting of rice, 2 to 3 types of curries, wheat bread (Roti/Chapati)). Some of the popular restaurants include Chotiwala, The Little Elephant, Cafe Omkar, and Madras Cafe. The food shouldn’t cost you more than 5 to 10 USD depending on your dining options. Don’t forget to try the quintessential Masala Chai or Tea in any of the local tea shops. The spice in the tea is what you want when the wind is cold and the views of the landscape are gorgeous! Walking is the best option to explore much of the center of Rishikesh at least. Some temples and the iconic bridges can be covered on foot, where you also pass by the markets. You can get bicycles or rent a bike or go for tuk-tuks/shared cabs to reach the other attractions in Rishikesh. There is no local bus option to commute within the town, leaving you with all the above modes of transport. People in Rishikesh are generally used to the tourists, being friendly and warm. The shopkeepers or people trying to sell you anything might be viewing you as an outsider hoping to make some cash, but otherwise, the locals are pretty relaxed and mostly keep to themselves. If you need any help or directions, you can ask people that you seem trustworthy. Overall, no harm should come your way from the people unless something extreme happens. Read further to know if you are a solo traveler. Avoid drinking water directly from the taps although you might be tempted looking at the Ganges, which is the heart of the town. Bottled water is cheap, easily available and the safest. Here are some of the scams that are generic to India, and hence apply to Rishikesh too. This is one of the oldest tricks but still exists in many parts. It is always best not to ask the driver of your tuk-tuk or taxis for suggestions on hotels, places to eat, etc. Particularly not the hotels because most of the time they take you to places where they get some commission from the hotels for bringing you as the customer. The best way is to book your accommodation online. Similarly, sometimes drivers might say that a particular place that you mentioned to be closed, so as to do the same thing above. So the way to deal with this is to have your Google Map handy or just turn on the GPS to watch where you are navigating. Avoid buying tours and activities from strangers or people who call themselves travel agents. Most of the hotels and hostels are better connected and organize tours if you want to take any. Also, before opting for any tour, do a quick research for some reviews and mentions online. Some tours for rafting, hiking, and camping can all be booked online. So just do research on the internet, read the reviews and go for them. Some of the good trekking companies to opt for tours include Trek the Himalayas, Gio Adventures and India Hikes. For camping, you can book with Outbound adventure, Camp River Zone Rishikesh, River Rangers, and Camp Aqua forest. Rishikesh is a great place for shopping and hence this tip needs to be kept in mind. While most countries find this surprising, bargaining in India is a part of its culture. And it is expected that you always do a bit of haggling to bring down the quotes to its nearly actual cost. Also, if you are a foreigner, the prices of the goods, especially things where you shop, like souvenirs and stuff would be priced at least 10 times the actual price. Again, not all shops do that and bargaining isn’t an option in big showrooms, but the general thing to keep in mind is to never settle for the price that the shopkeepers first quote to you. You should discuss and bargain to get lower prices than the quote. This one may not be a scam always and is common in many countries. But avoid people appearing out of nowhere and that who seem overly eager to be of your assistance. Always look for an authentic exchange shop to exchange foreign currencies. There are many shops that exchange fake Indian currencies, so ensure to review, cross-check before you choose a currency exchange. It is better to withdraw cash directly from ATM’s or get it exchanged only at designated shops or at the airports (although the exchange rates might not be very good). Traveling alone in Rishikesh is pretty safe and need not be a cause for worry, even if you are a solo female traveler. You might get some extra attention (mostly harmless) if you are a foreign solo female traveler, but that shouldn’t intimidate you to travel in Rishikesh as the locals are respectful and mindful of the many tourists they receive in the town throughout the year. People are helpful and don’t hesitate to provide the help they can. All you have to do is ask! Of course, make sure that you take the basic precautions and exercise your common sense to assess the situations. If you come from a place where you are not used to seeing crowds, you might feel unsafe or chaotic and this generally applies to the whole of India, and hence Rishikesh is no exception. You will get accustomed to it and this shouldn’t be a reason to worry. If you are around during any festive season or long weekends, expect the crowd to double or maybe even get multifold, but it’ll be just fine as long as you figure your way around, which you’ll eventually. However, more people mean that there are chances of theft. So ensure to keep a guard on your belongings. It is better not to carry an expensive stuff so that you don’t attract unwanted attention. Rishikesh is seen as a sacred place, and hence it is best to buy or carry Indian traditional attire here, which could include long tops (kurtas), cotton tops covering your shoulder, salwar and long pants. Plenty of cotton clothes are sold in the market too in case you arrive unprepared. Hitchhiking is not that popular in India for solo woman travelers, and since Rishikesh is a small town, people aren’t used to it much. It is better to avoid hitchhiking if you are a solo female traveler and new to the country. A better alternative to this would be to take shared cabs or tuk-tuks. It is worth trying if you have befriended somebody or found a group. It is worth trying if you have befriended somebody or found a group though. Read this post to find out about the exquisite tips for solo female travelers in India. If you feel unsafe or find anything suspicious or think that you are in danger, don’t hesitate to seek the help of Women & Children help center, which is operational 24/7. The number that you need to dial is 1090, which is valid from anywhere dialing in Uttarakhand. Rishikesh may not be the best place to travel with kids. The town certainly has something for people traveling with children, though. If they are a little older, you can try camping beside the river or opt for smaller hikes. The long drives around the town in the hills would be enjoyable too. The river banks offer a great place to retreat with kids amidst nature. Getting around with families: Cabs are a better option while traveling with kids in Rishikesh as they would feel comfortable and not be cranky. Shared cabs are fine for commute within the town too. Hope you enjoyed reading this and now you know about all things to do in Rishikesh! Let us know if you have any queries and we’ll try to answer our best. If you need help in planning itineraries or have questions about any destination, download Talk Travel, a free mobile app that will let you call & talk with travel experts from across the world. You don’t have to worry about planning or things to do. All you have to do is ask the local experts! Go ahead and click on the links to download on your Android and iOSmobiles.